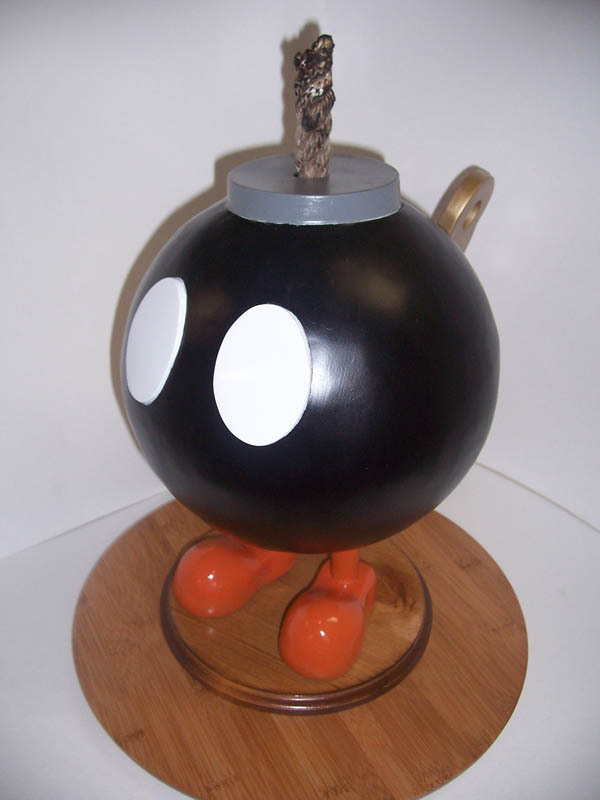 Bob-Omb’s first dropped into our hearts (then proceeded to blow them up) back in 1988 with the release of Super Mario Bros. 2. Since then, the little sucker has been a staple in the Super Mario series, making appearances in over 20 Mario related video games. 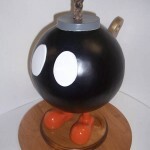 Today’s Featured Custom from forum member Viper_486, showcases a life-size custom Bob-Omb for your enjoyment. Check out some pics by clicking the headline of the story. View more great customs and share your own by visiting our Customs Completed Projects Forum. Discuss on the Toyark Forums› Views: 6690 › Credit: Viper_486 of the Toyark Forums! Whipped this up this week. Always wanted one, and now my wish has come true, lol. Little guy stands about 17" tall from base to tip of fuse. Truly awesome. Your geek credentials are indisputable now. Incidentally ran a search on Google Images to see what came up and found this. WOW. I want that!!!! He came out perfect. Very, very cool. Where'll you display him? Right now he's up in the livingroom. Might put one out in the front window, and one in my oldest daughters room. My younger daughter wants a 1up mushroom, so I know what i am sculpting next. Awesome job, and congrats on the Featured Custom! Just don't step on him, unless there's a wall you don't want any more. Don't worry, if I step on him, I'll kick him immediately.